After working several years as research chemist, Paula Wiseman was blessed with the opportunity to stay home with her children and follow the writer’s path. two Indie Excellence Awards and was a Readers Favorite Winner in Christian fiction. Indemnity, the follow-up, was also an Amazon bestseller and #1 Hot New Release. When she isn’t working on new projects, Paula blogs on matters of life and faith at www.paulawiseman.com. Bobbi was shocked when she discovered her husband Chuck was having an affair. When he returned from his business trip she confronted him and asked him to leave. She still loved him and wanted their marriage to work. Chuck realized how foolish he'd been. He didn't want a divorce. He was a self confident, self assured and self centered person. He found it difficult to be humble. Bobbi and Chuck turn to their pastor for guidance. Pastor Phil counsels them separately and later together. He explains the need to confess sin, seek forgiveness and offer forgiveness. Adultery is a terrible sin. It hurts spouse, children, parents, friends and coworkers. 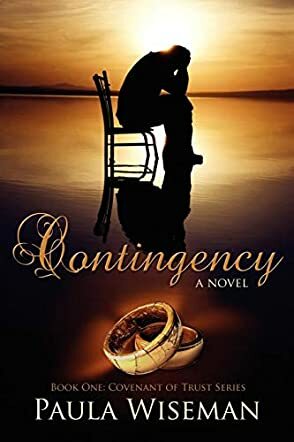 In Contingency the author cleverly demonstrates the damage and the process of healing. The sons Brad and Joel each reacted in a different way. Brad wanted justice while Joel was ready to offer forgiveness. Chuck was brought to his knees before he could truly repent of his sins. Bobbi was so deeply hurt that it took time for her to heal. Bobbi's sister Rita was filled with anger. She never liked Chuck and was determined to force Bobbi to divorce him. Pastor Phil was wise in his counsel. He was patient with the whole family.